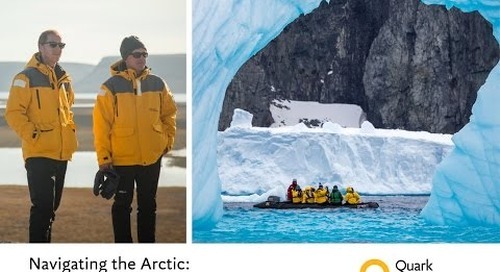 The reasons people choose an arctic cruise as their ideal vacation vary widely. Perhaps you’re a photographer looking to document some of the rarest and most beautiful wildlife on the planet, or one of your lifelong goals is to learn more about the culture and history of the North. Traveling aboard a real icebreaker could be on your bucket list, or maybe you’re not even sure that an Arctic expedition is right for you, but you’re intrigued and want to find out! 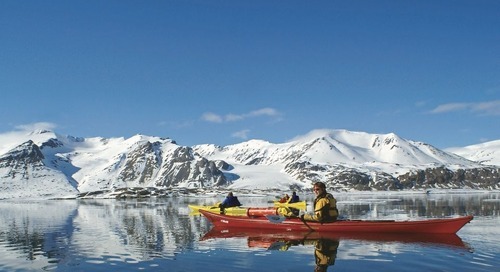 Whatever your reasons for visiting the Arctic, there’s a polar expedition that will exceed your wildest dreams. Thanks to exciting new fly-cruise expedition options, it’s now easier and faster than ever to get there, too. 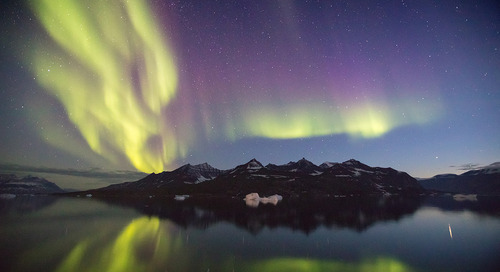 Here are just a few reasons to plan that trip to the Arctic. 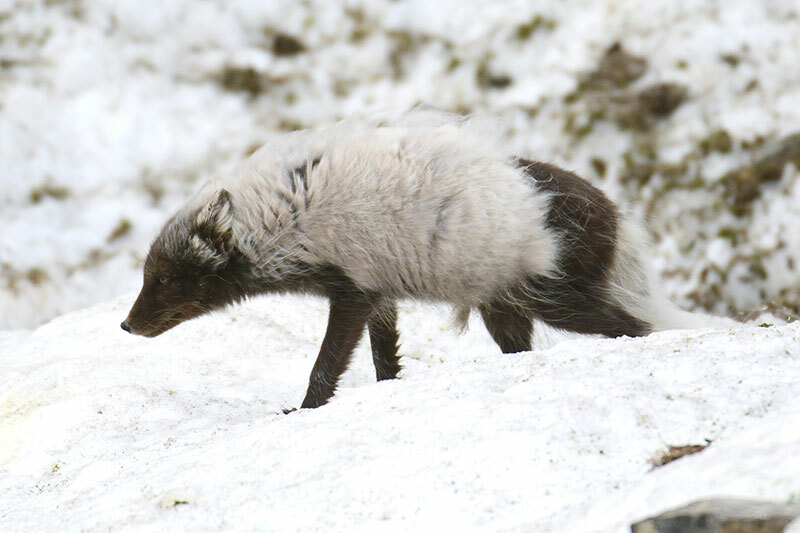 An arctic fox bows its head into the harsh north wind as it picks its way over the icy tundra. One of the highlights of any expedition is the amazing polar wildlife. There are more than 36 mammals living in the Arctic (17 of them are marine species), and each has successfully adapted to one of the most challenging environments on earth. On the water, you’ll have the chance to see beluga whales, narwhals, ringed seals and walrus; on land, you may spot muskoxen, reindeer, Peary caribou, and arctic fox and hare. Check out Your Guide to Navigating the Arctic to learn which animals you might see in each Arctic destination. 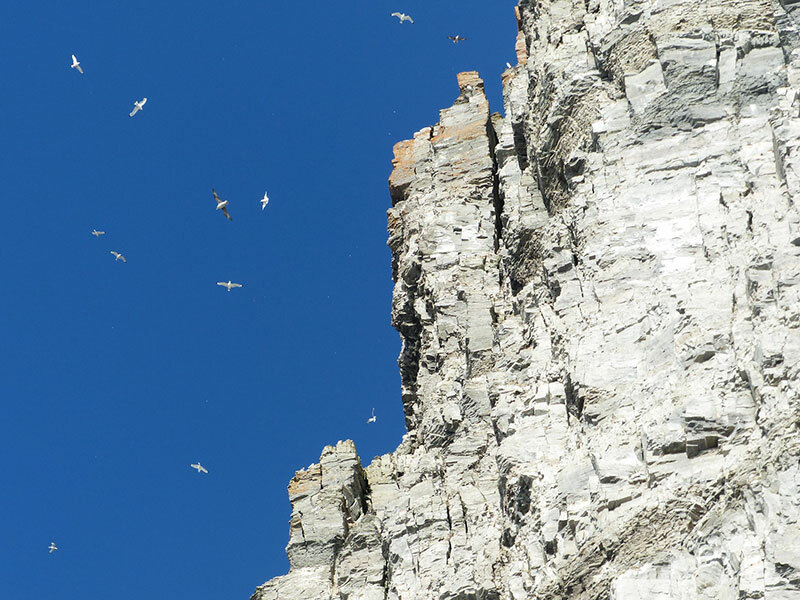 Cruise beneath the massive bird cliffs on Prince Leopold Island, Canada. One of the most unique congregations occurs when millions of seabirds return to shore for mating season. To avoid predators, they nest on cliff faces, and these are a spectacular sight. Thick-billed murres, black-legged kittiwakes, arctic terns and glaucous gulls are amongst the species you may see. 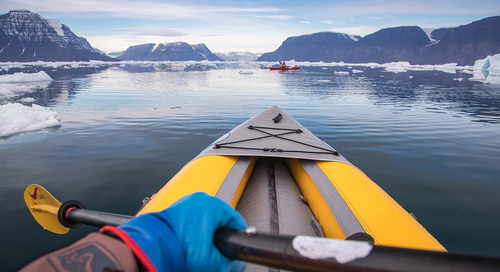 Inside the world’s largest fjord system, Scoresbysund, in East Greenland, you’ll encounter all kinds of seabirds swooping down the towering basalt walls to fish in the pristine waters below. 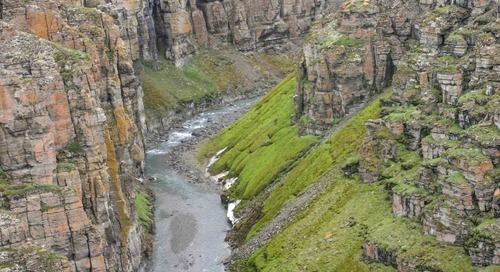 Check out these Top 5 Bird Cliffs in the Arctic to learn more. 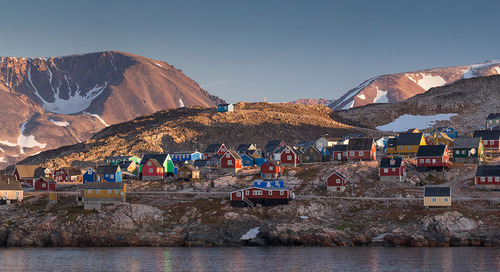 Arctic communities may be small, but they’re full of life. Longyearbyen, a mining town on Spitsbergen Island, in the Norwegian archipelago of Svalbard, has a university, a sports center, and a gourmet restaurant that has one of the largest wine cellars in Europe. 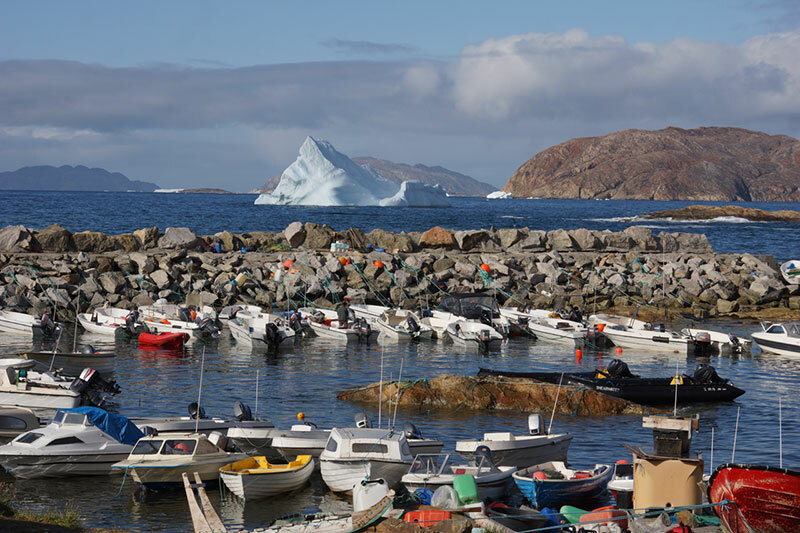 Kangerlussuaq and Nuuk, in Greenland, offer opportunities to visit rare historical sites, play a friendly game of soccer with the locals and learn about colorful Greenlandic folklore. 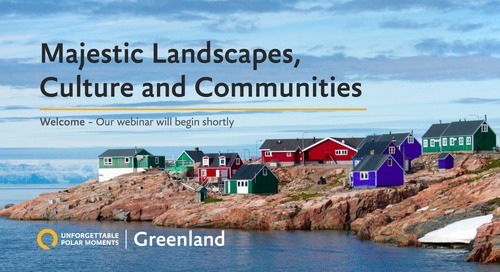 Read Arctic Communities: The Cultures & Peoples of the Far North to learn more. 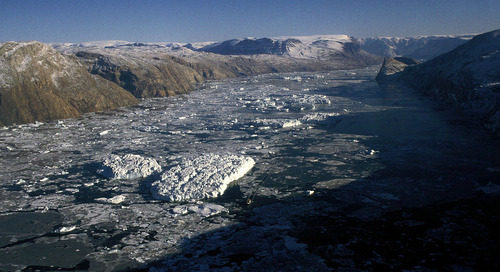 An area full of legends, the Arctic is rich in historical sites. 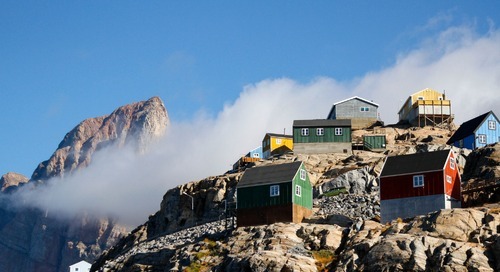 The region is dotted with abandoned whaling stations, expedition base camps, and hunting and trapping camps. 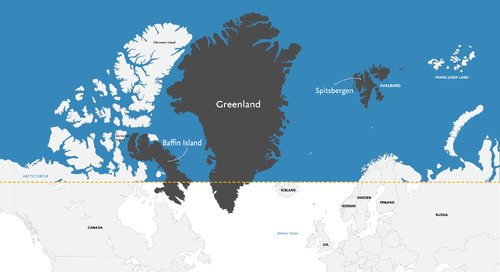 On Ellesmere Island, you may have a chance to fly by helicopter over an ancient petrified forest; in Greenland, the land of the Vikings, at least 6 different Inuit cultures have survived over several centuries. 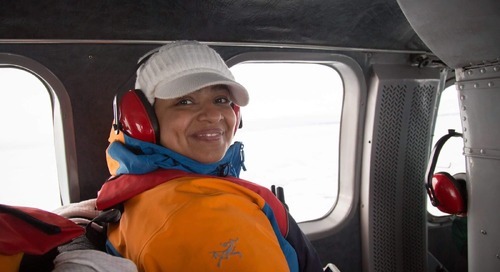 You might get a chance to visit mysterious Beechey Island in the Canadian High Arctic, or walk in the footsteps of Arctic explorers like Robert Peary, Richard Weber, Fridtjof Nansen or Ranulph Fiennes. Intrigued? Keep reading and exploring all of the things you can see, do and learn about in our Traveler's Guide to the Arctic. No passenger ship has transited the Northwest Passage more frequently than the powerful icebreaker Kapitan Khlebnikov, which features 51 cabins, plus a dining room, lounge, bar, heated indoor plunge pool, sauna, theatre-style auditorium, and 2 on-board helicopters for aerial tours. This is an attraction in itself, and in 2016, we counted Chris Hadfield and his Generator crew amongst its travelers. Hosted by celebrated Canadian astronaut Colonel Chris Hadfield, the science-based variety show blends knowledge, perception, music and comedy. Check out this incredible arctic expedition video created by filmmaker and photographer Ben Brown, one of the special guests on Generator. 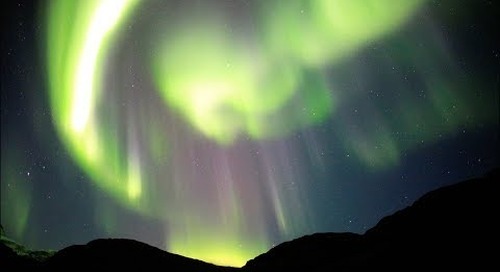 In Greenland, legend has it that the lights dancing in the sky are the spirits of departed ancestors. 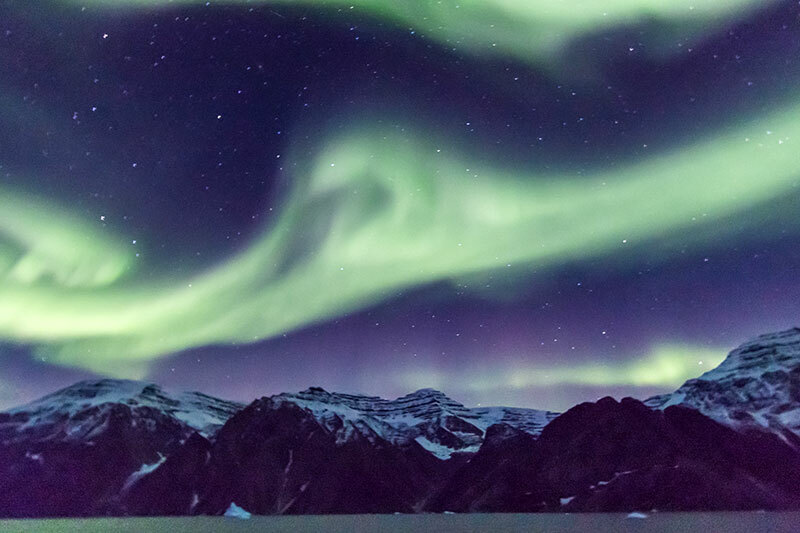 On a clear night, Greenland is one of the best places on the planet to view the aurora borealis, also known as the northern lights. 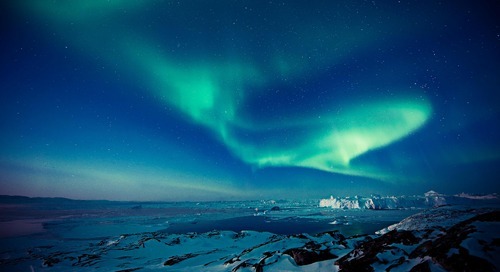 Polar travel tip: Choose a fly-cruise expedition or ask a Polar Travel Adviser which expedition gives you the greatest likelihood of seeing this spectacular light show. It's the iconic symbol of the Arctic, and your best chance at spotting a polar bear is when they're roaming vast land and sea ice in search for food. Of course, there's no guarantee Mother Nature will perform for us, but during the 2015 arctic cruise season, Quark Expeditions® passengers spotted a record 51 polar bears in the area of the Northwest Passage! Polar bears have even been viewed by hikers inside Greenland National Park, the most northerly national park on the planet. 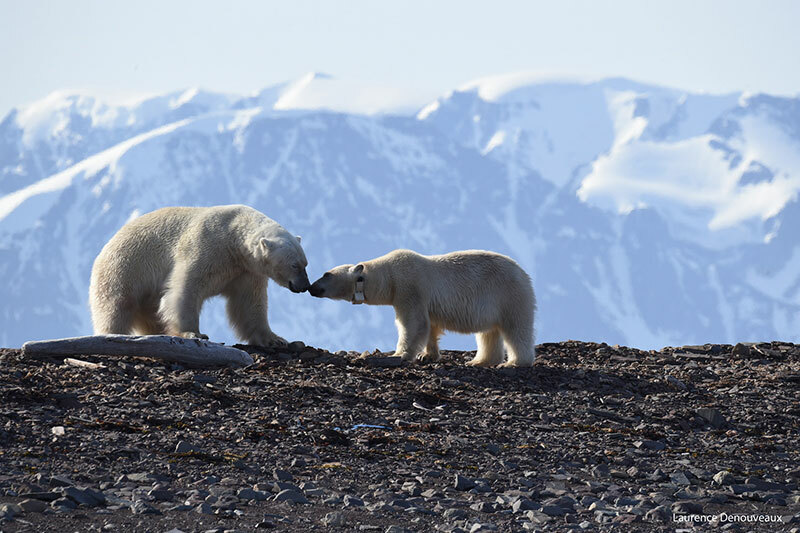 If you have your heart set on seeing these beautiful creatures, head to Svalbard for the Spitsbergen Explorer: Wildlife Capital of the Arctic expedition. In centuries past, setting out on a polar expedition was a massive commitment that could take you away from home for years at a time. Today, you can still have a life-changing experience in the Far North – and you can do it without even using up 2 weeks’ vacation time! 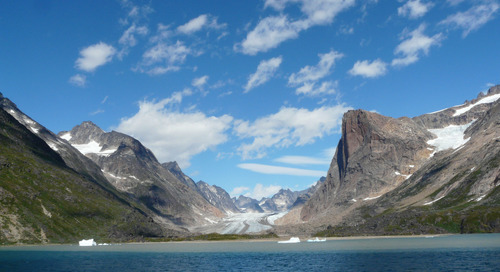 A 10-day fly-cruise expedition to Greenland delivers all the excitement and iconic experiences of an arctic expedition in less time by flying travelers over the Denmark Strait to and from Constable Point, where the cruise portion begins and ends (thus shaving off precious time you would otherwise be spending at sea). 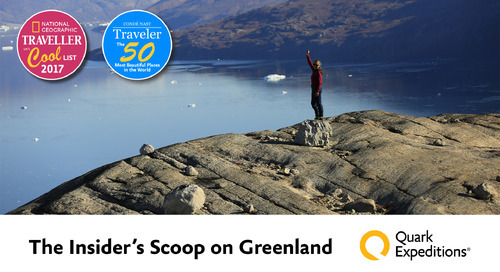 See what Dave and Deb from The Planet D had to say about their adventures in Greenland. Visiting the North Pole is a rare and unique privilege. The quest to reach the summit spanned hundreds of years, but it wasn’t until 1926 that Norwegian explorer Roald Amundsen made the first verified exploration of this point. 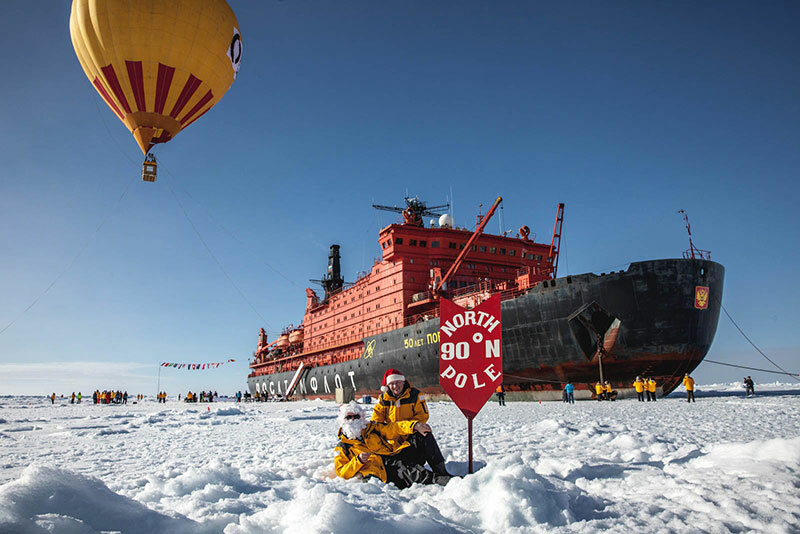 Visiting the North Pole today is a much more expedient and comfortable trek than what those original explorers endured, and it can even involve hot air ballooning! 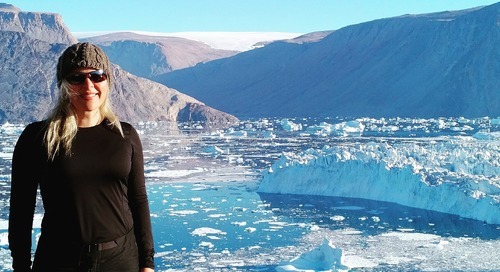 A Quark passenger enjoys the spectacular Arctic ice at Ilulissat, Greenland. Thick, multi-year Arctic sea ice is spectacular, not only visually but also in its critical importance as the basis of the Arctic ecosystem. 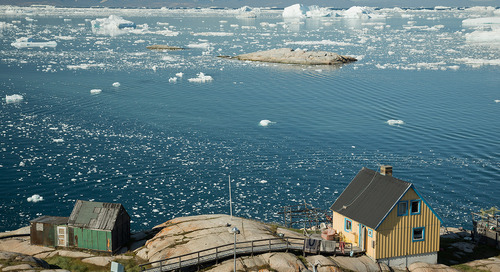 A UNESCO World Heritage Site, Greenland’s Ilulissat Icefjord is one of the few places where the Greenland ice cap reaches the sea. The fjord is the sea mouth of the incredible Sermeq Kujalleq, the most productive glacier in the world, calving every year! Whatever your reason for embarking on this polar adventure, it’s easier and faster than ever before to have a life-changing arctic vacation; in fact, you can do it just 10 days! Want to learn more? 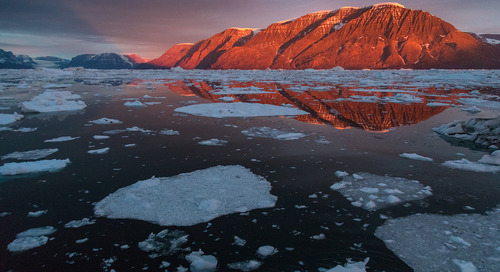 Download Arctic destination guides to explore the sights and sounds of Greenland, Spitsbergen, Baffin Island and the North Pole. Our 'Navigate the Arctic in 5 Minutes' video can also help you decide which area of the Arctic you'd like to visit... this time.